Ask a Question: What to Post on Social Media for Small Businesses? 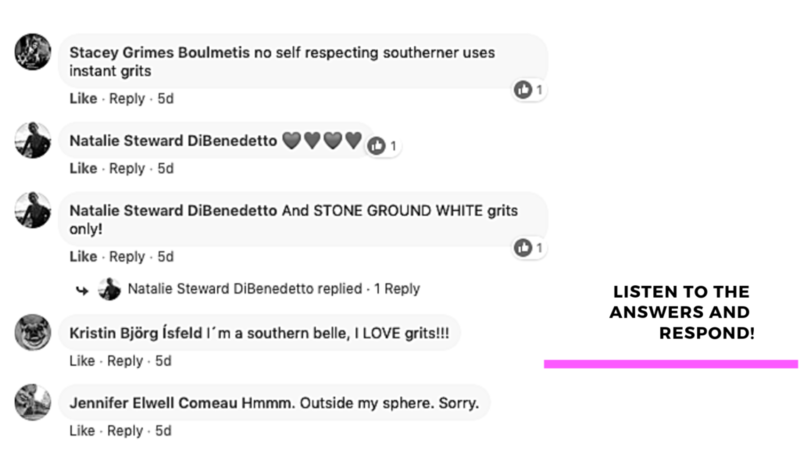 Do you ever wonder what talk about on social media? Do you get excited to use social media for your marketing, but then lose steam after a few posts and then give up? We have all been there. The stops. The starts. The lack of feeling creative. The need to take care of EVERYTHING else in your business and Social Media becomes ONE-MORE-THING you need to juggle. Fret not, fellow business friend. I am here to help. I have a full-proof tip to share with you, so that you know what to post on social media. Yes. THAT is what you should talk about on social media for your small business. 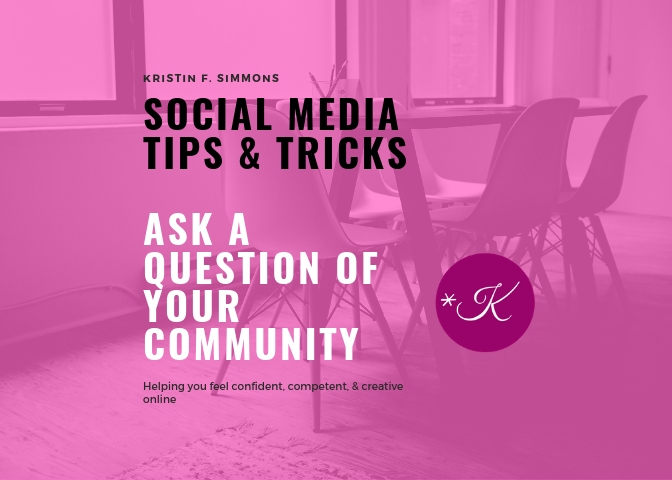 You should ASK A QUESTION of your community, the likes of which YOU are asked all of the time. As business owners, we solve problems everyday and answer questions. What kinds of service do you offer on old cars? Can you mail a package to Borneo? Do you offer small party catering? What time is your 3 o’clock seminar? Can you hem pants AND dry-clean clothes? Do you have evening hours? How much for drop-in child care? Do you allow dogs in your hotel? You get the calls. You read your emails. You have the lady that wants to hang out, chit-chat, and then pepper you with questions about pairing wines and cooking for 20 people at the holidays. You know the drill and you answer these kinds of business questions EVERYDAY. Guess what folks? These questions are AMAZING fodder for social media posts. Now that you know WHAT to do, it’s time to take action and get posting on social media. Take a look at the steps below, and download a brainstorming guide to help get the juices flowing. Brainstorm the Questions Most Commonly Asked Questions. Grab a piece of paper or download the worksheets below. Write down at least 5 questions you are asked everyday in your business. Select a photo for each of the questions. 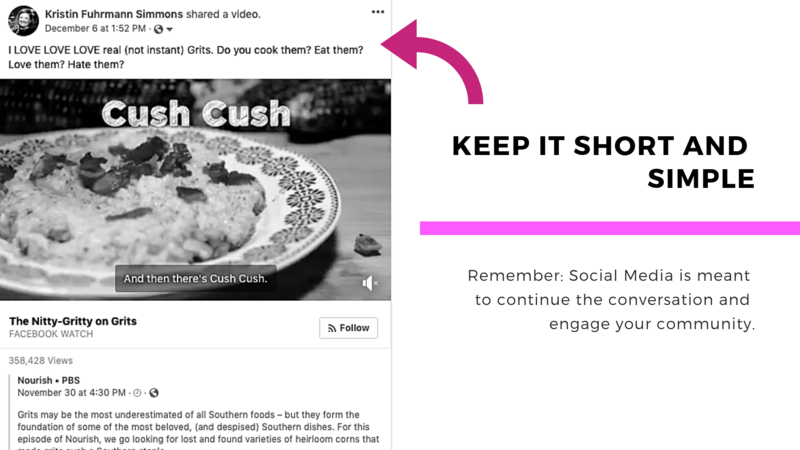 Remember: All social media posts need to have an image or video attached to them to be the MOST engaging to your audience. Share the posts with words and images. Make sure to ask in a way that encourages a response. 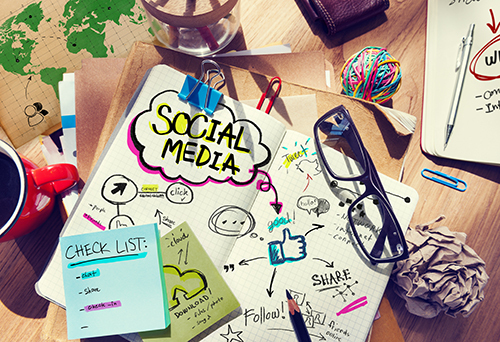 Our social media business posts are seen on average by 2-5% of our TOTAL audience. 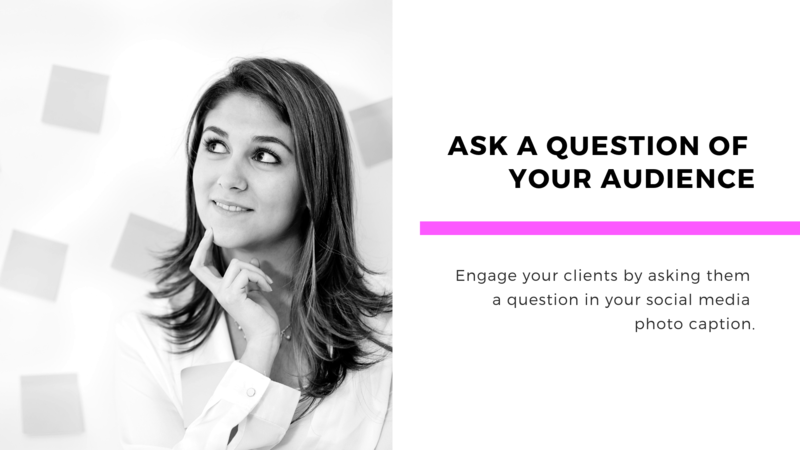 Up-the-ante by creating a “Ask a Question” post and over time, you can improve your visibility ten-fold. Make sure to respond and engage when people make comments. Download the worksheets enclosed to share with your team. Get your staff in on the social media action. A good group brainstorm helps to engage your team IN REAL LIFE. Everyone loves to participate and feel like they can contribute. You may get some jerks. If you get a customer with a legitimate concern, offer to take the conversation offline and provide a direct phone # for them to call. If they get nasty, inappropriate and/or abusive, delete it and/or block them. We WILL get concerns and comments. There is NEVER a call for abuse or snarkiness. So, when you wonder: “What do I post on social media for my small business?” you NOW know what to do. Remember: My goal is to help you feel CONFIDENT, COMPETENT, & CREATIVE online. Share your comments below an on my Facebook Page at Kristin F. Simmons Digtal Media | Visual Storyteller. Make sure to keep these worksheets on-hand as a reference and LET ME KNOW how its going. Need help with planning and execution of social media? I can do that. See my services here. I look forward to hearing from you!